This annual event draws consistently draws more members than any other event. 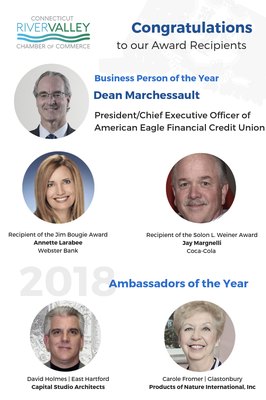 This special evening includes the presentation of the "Business Person of the Year” and the "Ambassador of the Year” award, as well as the President’s awards. The evening will begin at 5:00 p.m. with a reception of hors d’oeuvres, cash bar, sit down dinner and ample time to network. The business and awards portion of the meeting will follow from 6:15 - 8:00 p.m. This popular event has sold out the past 3 years. Click here to see past winners of the Business Person of the Year Award. The highest commendation the CT River Valley of Commerce presents goes to the “Business Person of the Year”. This award will be given to an accomplished business person who has started, developed, expanded, or otherwise effectively managed a business. This person is a recognized leader dedicated to economic growth in the area and is involved in civic projects helping to improve the quality of life in Glastonbury and neighboring communities. 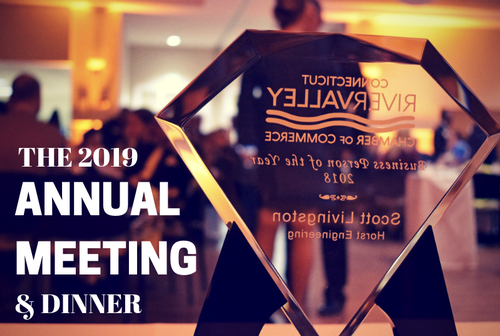 The Ambassador of the Year Award is also presented annually in recognition of a business person who is a member of the Ct River Valley Chamber's Ambassador Committee. 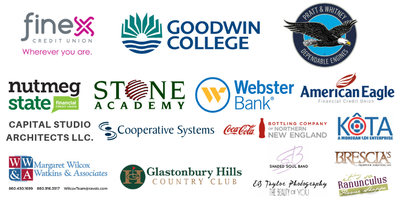 Ambassadors assist the Chamber in numerous ways including the recruitment of new members, mentoring current members and promoting Chamber programs by representing the Chamber at official functions and within the community. This award is presented to an Ambassador who has been especially dedicated to helping the Chamber achieve recruitment and retention goals.